Hanson Chiropractic has some of the best trained staff in the Seattle Area. With specialties that range from whiplash injury care to prenatal chiropractic, we always have an expert that is more than qualified to help you get and stay well. 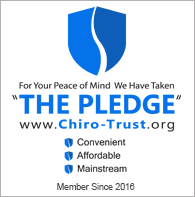 Are you ready to experience the many benefits of Hanson Chiropractic? Schedule an appointment with Hanson Chiropractic by calling 425-355-3739 or sending us a message.